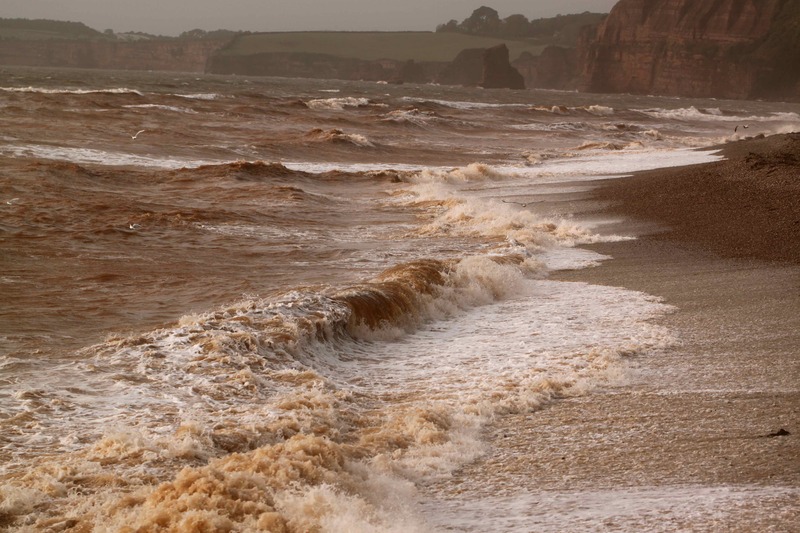 We have endured crazy weather today down here in the West Country. 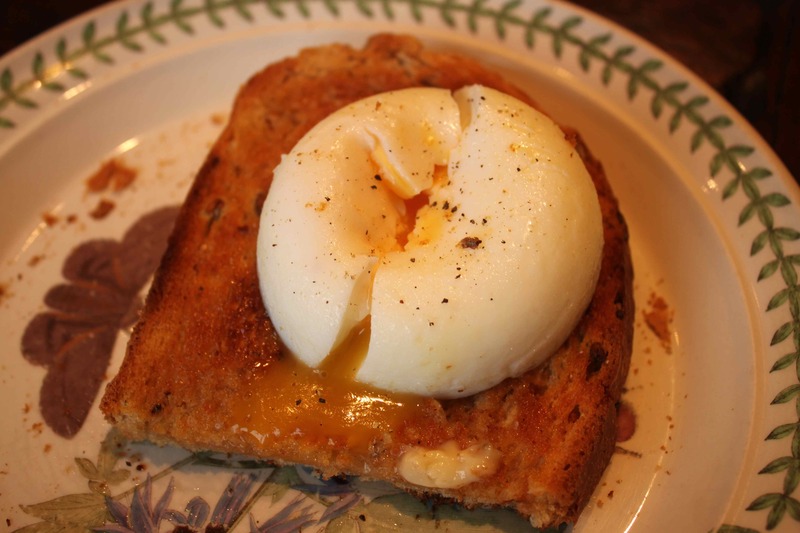 Fortified with a delicious poached egg on toast and plenty of coffee, we set off to visit one of our favourite places. 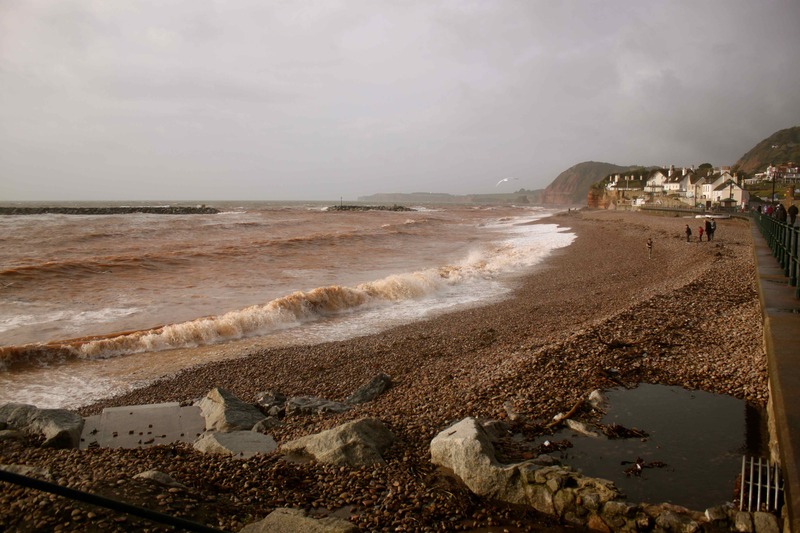 On the way we stopped by the sea front in Sidmouth where the waves were wild. The sea was dark red due to the colour of the sand and the noise was quite deafening as the waves sucked up tons of pebbles and then smashed them on to the beach. I love being on the beach in all seasons and this was just as enjoyable as a fine sunny day but obviously completely different. 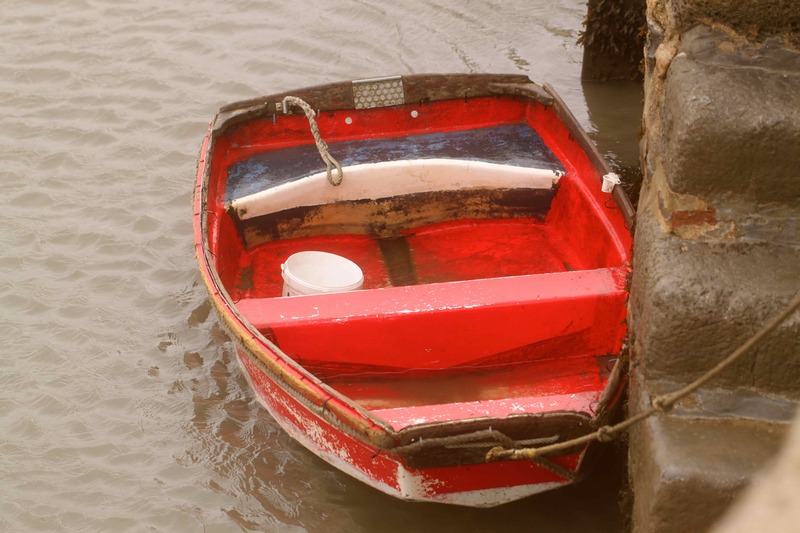 It was very invigorating being down by the sea. 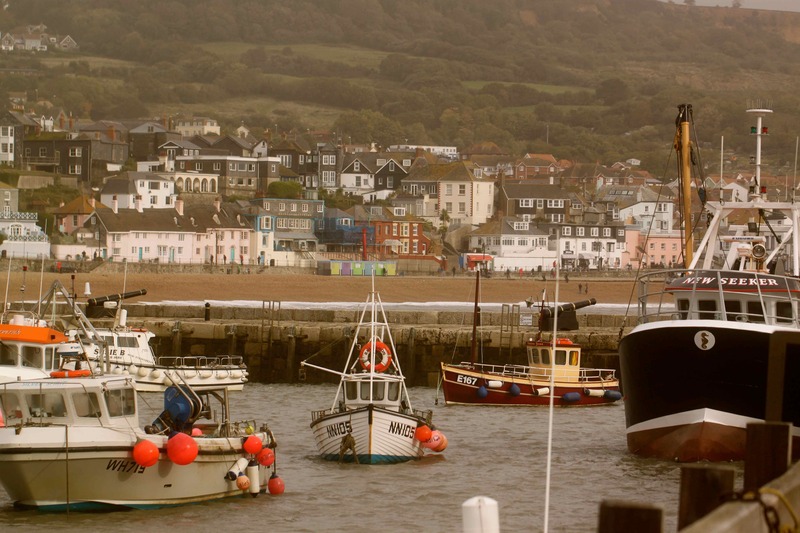 After a good walk in Sidmouth we drove on to Lyme Regis. 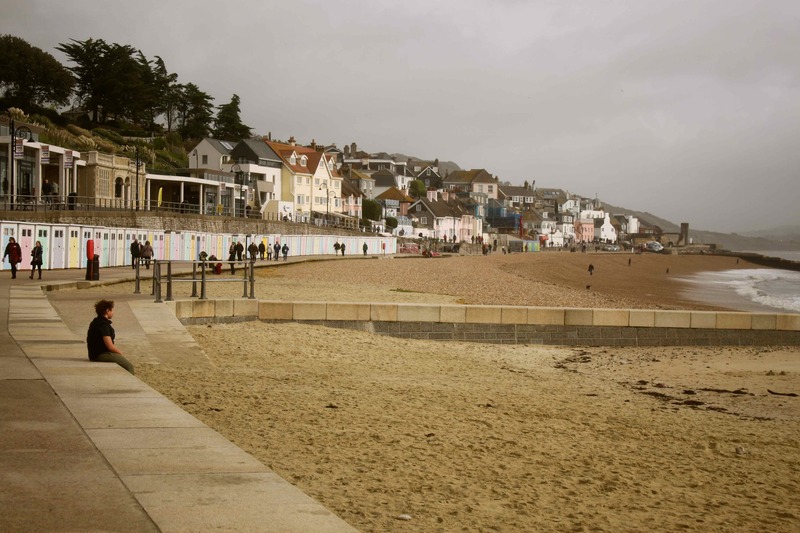 I have so many happy memories of this beautiful little seaside town. 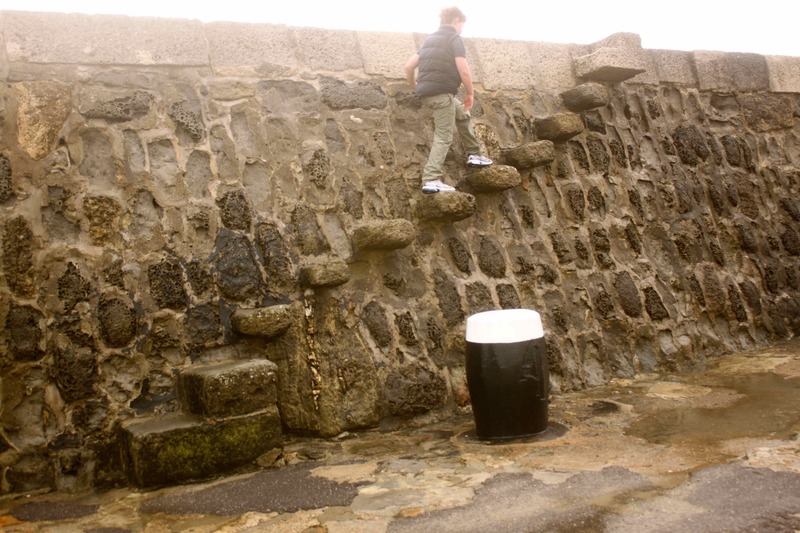 Whenever I visit I like to walk along the Cobb. 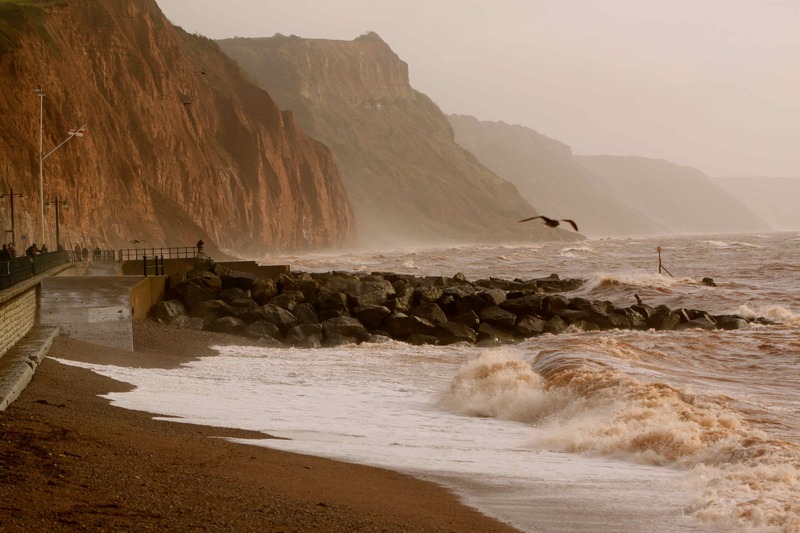 The wind was so strong the waves were crashing over the Cobb today! 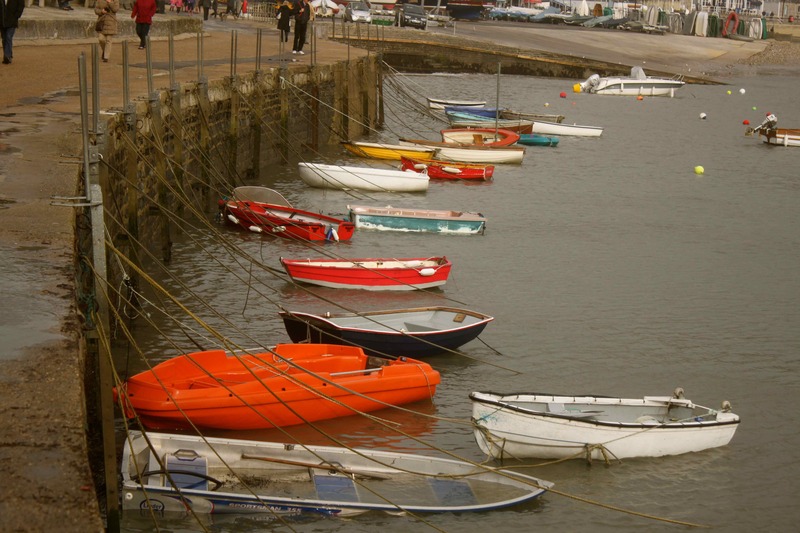 Some of these little boats were sinking. 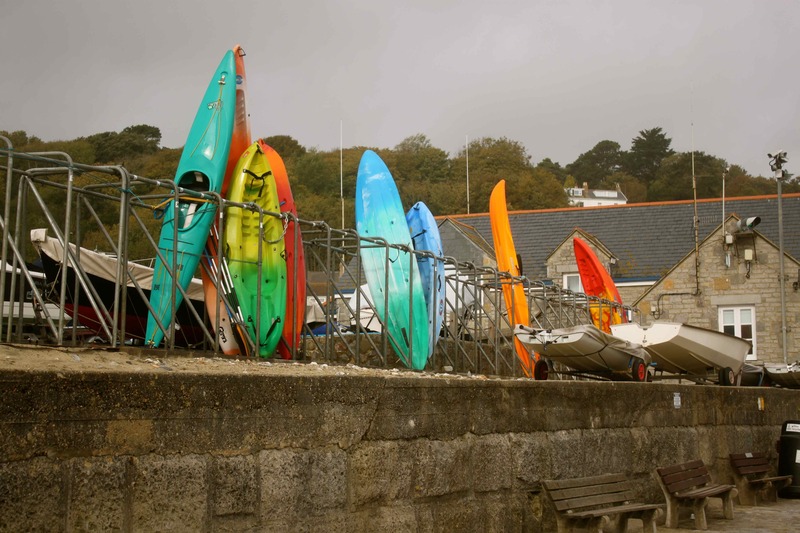 The kayaks added a good splash of colour against the very grey sky. I have visited this beach most years of my life. It is always a pleasure and today was no exception. 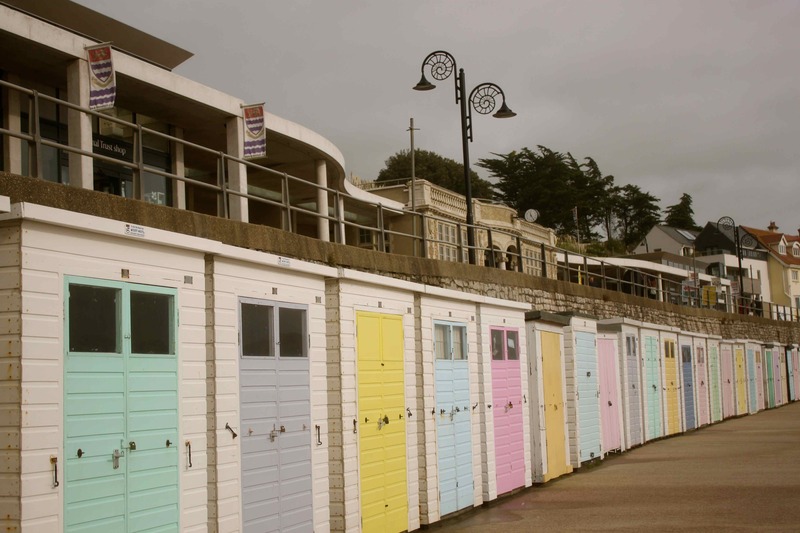 The beach huts have been spruced up. Harvey and I had a fun visit to my cousin Miranda’s and we all walked back in to town together. 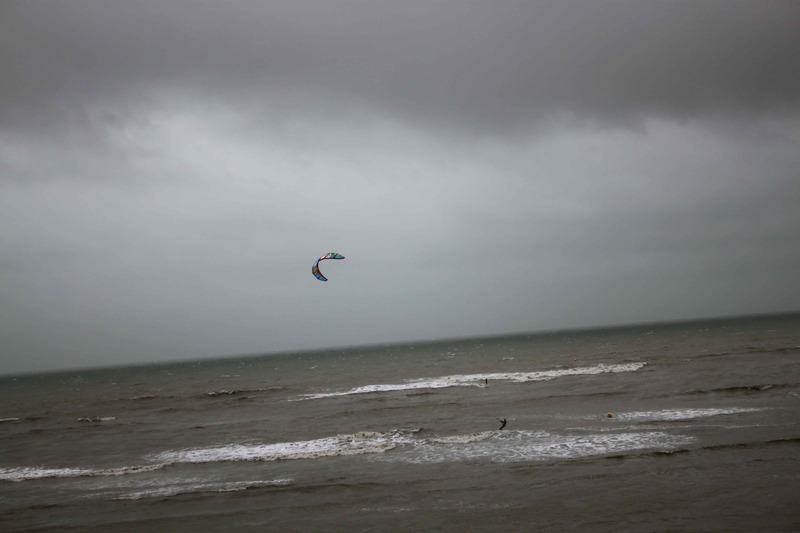 The kite surfers were out. Rather them than me! 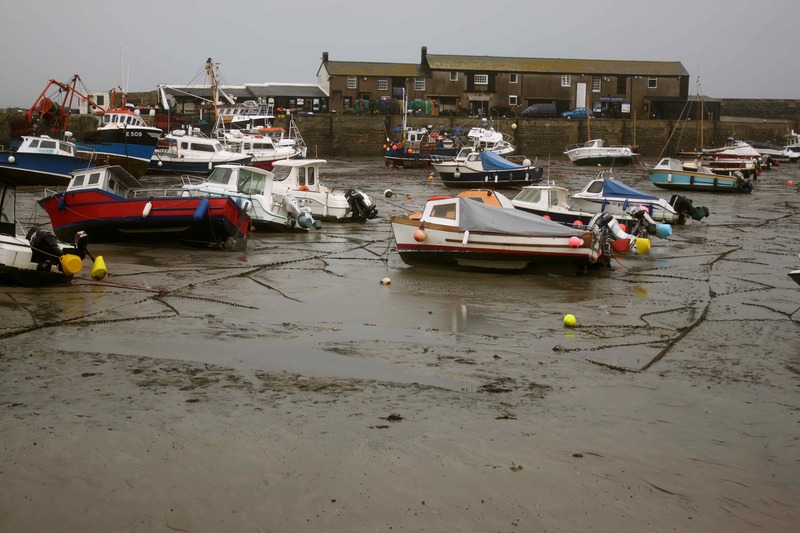 Full moon means very high and then very low tides. I have never seen the harbour with no water left in it before. 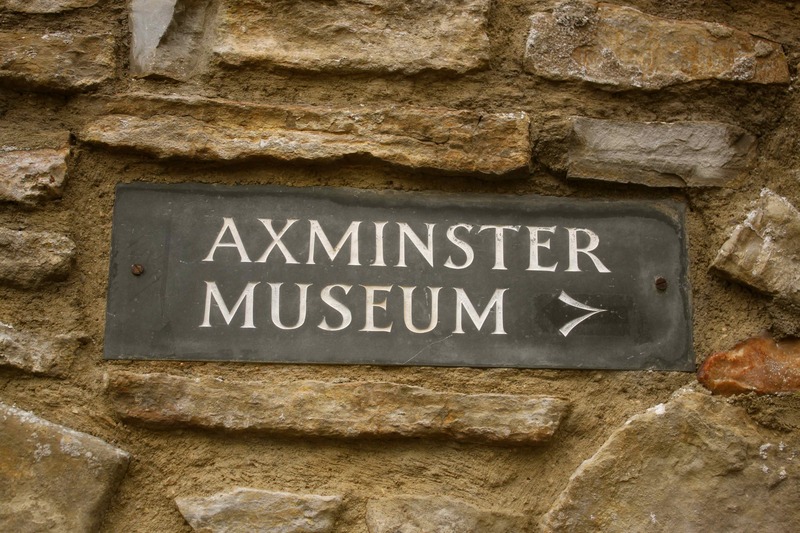 Our next stop was Axminster. 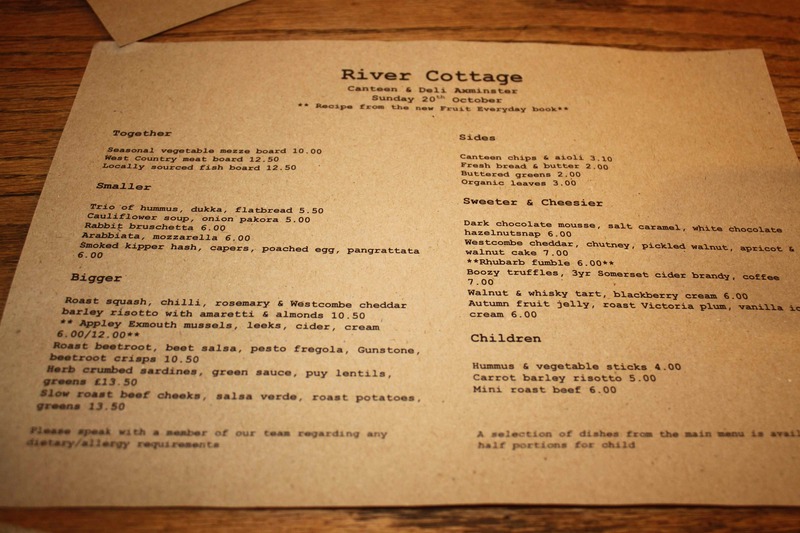 Home of the River Cottage, my favourite chef Hugh F-W’s eatery. I have never eaten in there before and was really looking forward to it. 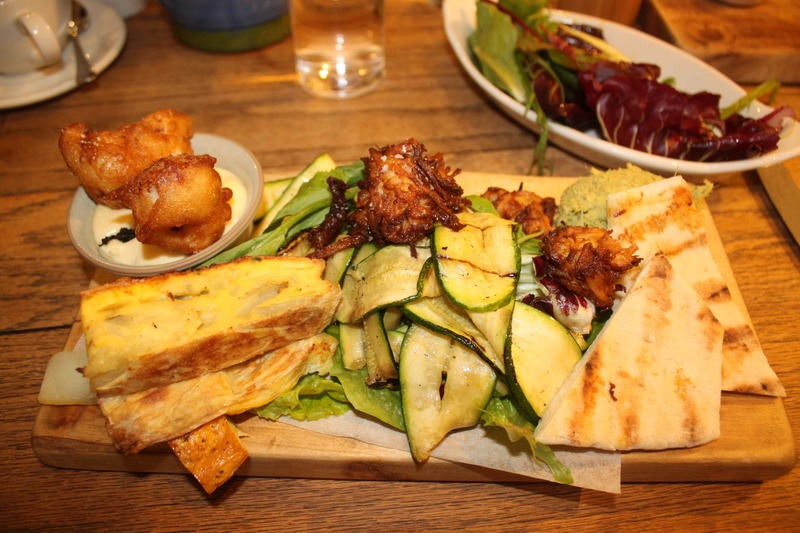 I had the seasonal vegetable mezze board with organic leaves. I shared chips with aioli and buttered greens with Helen and Harvey. 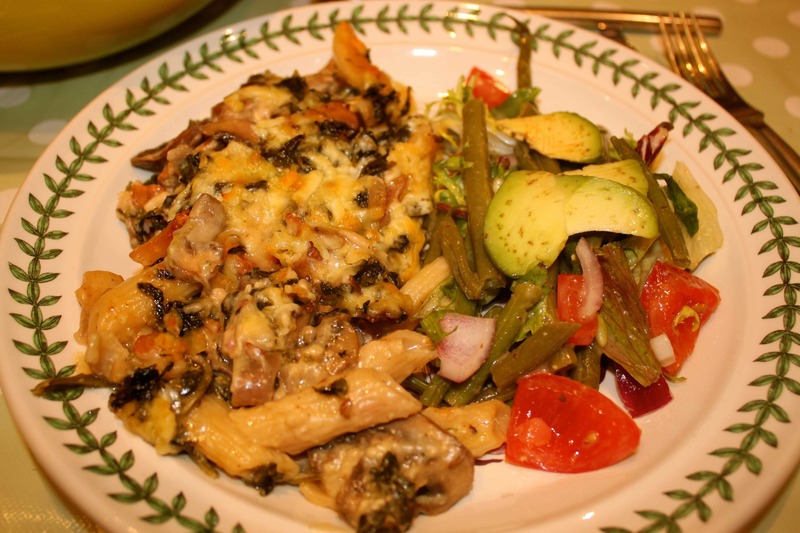 It was all delicious, the service was friendly and efficient, and the ambience was relaxed and easy going. I was not disappointed and will be going again. In the afternoon we watched clever Aunty Hillary in a wonderful concert with her orchestra. I enjoyed it all, especially Faure’s Pavane op.50 . 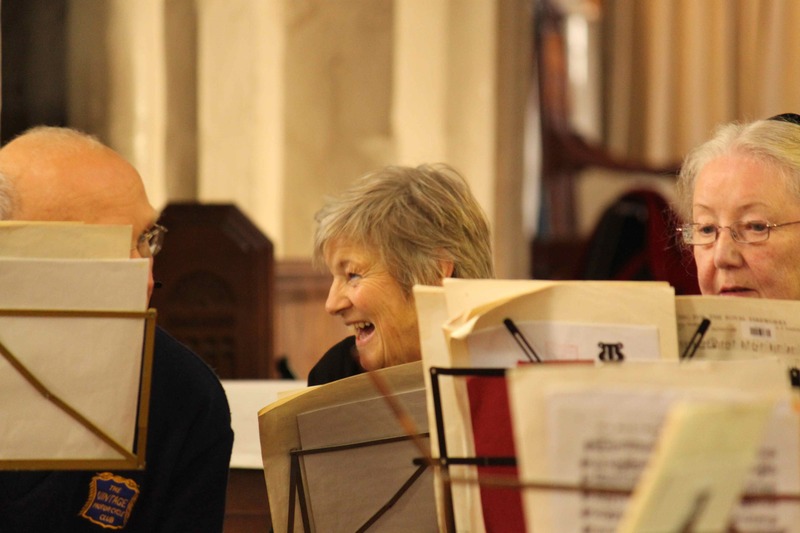 I was very impressed with Harvey who sat and listened to the concert too. My strategic decision to sit him next to the guide dog was a good move 🙂 After the concert was a tea and cake smorgasbord and I was very pleased with myself for managing to resist them all. We then spent a delightful afternoon at Aunty Hillary’s and Miranda joined us too. 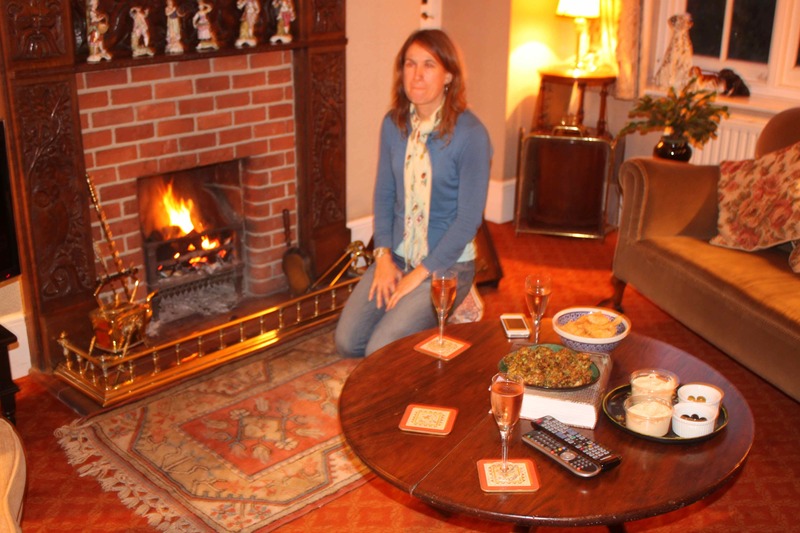 We had glasses of fizz and far too many delicious nibbles and it was all very wonderful. When we arrived back at Ian’s there was more food. Which was of course delicious so we ate again. So I feel like fois gras and can hardly move. I did manage to resist sugar today which I am pleased about. But I ate at least twice as many calories as I should have. I will have to behave much better tomorrow. Hi Zoe – what a wonderful day! 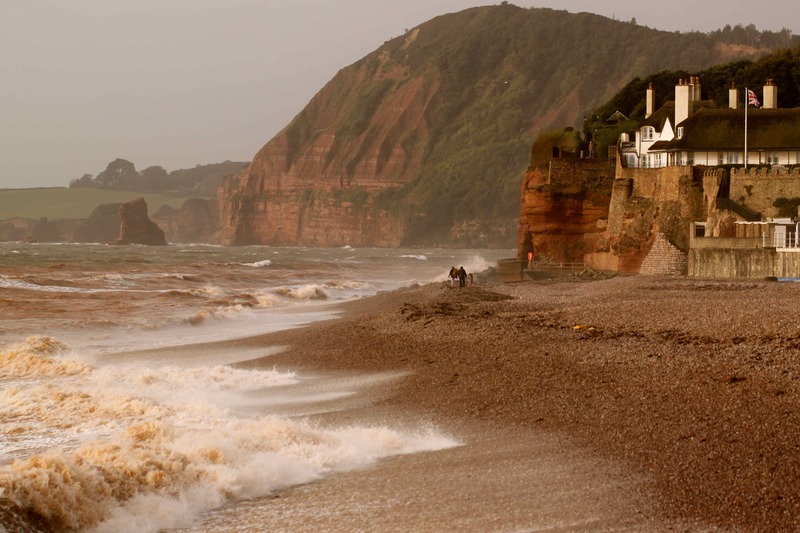 I love the pictures of the sea and the beach huts are so pretty – I adore the west country, especially in the Autumn.